This year holiday spending is projected to jump 4.5% according to a report by the International Council of Shopping Centers. 20 to 40 percent of yearly sales for small and mid-sized retailers take place within the last two months of the year the National Retail Federation found. Bottom line, November and December are the most important months for your retail business. You need to offer compelling reasons to get customers into your stores. Below, some tips to help you increase foot traffic and convert sales this holiday season. We know that great displays can drive foot traffic, increase conversion and boost sales. Each year big-box department stores cultivate high impact multi-window displays to delight potential customers. Window displays have the power to draw in new customers and excite regulars into checking out the latest products. Dimly lit displays, cluttered windows or visual presentations that haven’t been changed in weeks won’t get the job done. Rely on modular pieces such as suspended displays to fully utilize the space — drawing the eye from top to bottom — or variable height display stands to create more visual interest. Tell a story with your marketing. The human mind craves meaning. It even goes so far as to create – even invent – connections. What’s more, if the mind cannot create an orderly narrative from incoming information, it tends to ignore it. If your merchandising is styled haphazardly, potential customer’s will not understand and, ultimately, will not buy. Identify the simple on-brand story you want to tell and use your products to draw customers into imagining what those items will do for them. Place complementary items together. Cross merchandising is a great way to show your customers how products from different categories can go together. You could combine a gift card with additional low-cost items to save the customer time in building a DIY Holiday gift pack. Remember to refresh your displays as often as the product sells through! During the busy holiday season, you may not always have time to re-think your entire window display. Make sure to plan ahead and know which similar products you can substitute into your main displays to highlight merchandise you still have in- stock. Looking for even more tips? See our 7 Visual Merchandising Techniques to Increase sales or 10 Merchandising Mistakes Retailers Make that Lose Sales. Planning an in-store event around the holidays is a great way to turn an everyday shopping experience into one that will garner you return customers and brand ambassadors. Choose a relevant Theme. Think about your customer base, and the types of things they enjoy. If you are a men’s accessory brand, perhaps invite a representative from a local liquor brand to offer a guided tasting in store. Themed live music and free food can also help to draw in foot traffic and elevate your in-store experience. Plan Ahead! Don’t leave announcing the date of your event to the last minute. Plan at least 2-3 months in advance to ensure event marketing and word of mouth is widely distributed. Throw event cards into shopping bags and have your staff talk about the upcoming event whenever they engage with customers. Have a Raffle. Allow customers to enter a raffle in the weeks leading up to the event, then invite them back to for the big night to see if they won! Offering a promotion or special discount gives customers a reason to get out of their houses and into your store. With that opportunity, you can create a lasting impression that will make them look forward to visiting again. Some examples by Vend were offering a percentage off with a certain number of items purchased, spending $X to receive a discount and buying to get an item free or on a discount. Market to your loyal customers. Sending an email to your customer list with an exclusive holiday discount can bring you top of mind for those beginning to plan their gift-giving purchases. The pressure of Holiday shopping can be hard on both your teams and your customers. Extra care should be taken to create a positive experience for everyone coming into your stores. 83% of Americans say that a word of mouth recommendation from a friend or family member makes them more likely to purchase that product or service, so ensuring a great store visit regardless of conversion should be a priority. Empower your teams to be product knowledge experts. There’s nothing worse than visiting a retailer, requesting associate assistance and hearing, “ah…I dunno”. Conduct training workshops prior to the Holiday rush to ensure team members can speak about and recommend product confidently. On a cold, snowy or rainy day, free coffee, tea, hot chocolate and other treats can entice frozen shoppers to stop by and warm up. Keep a supply of these items in your stockroom so you can serve refreshments at a moment’s notice. Promote them on social media and via your other marketing methods. 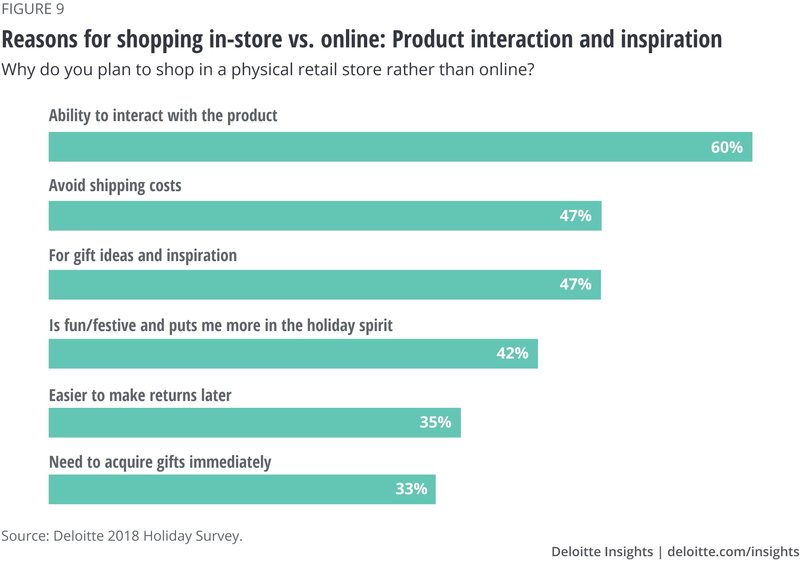 Though the percent of online purchases continues to increase year over year, most shoppers still want to visit brick and mortar stores to get inspiration, see and interact with products. 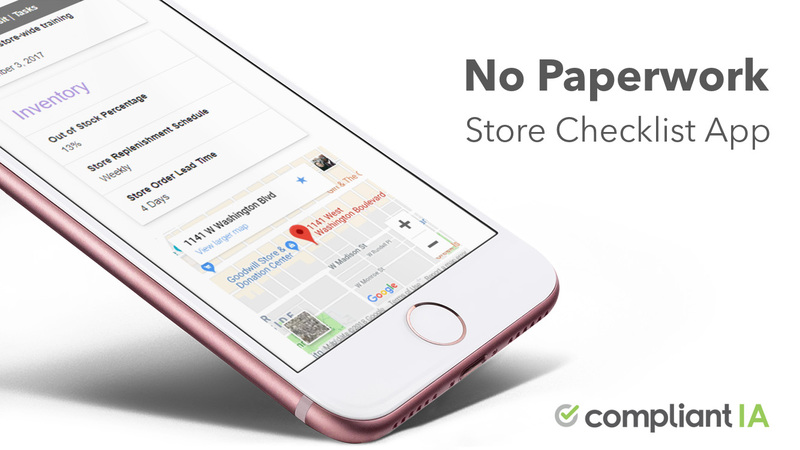 Ensuring your stock is readily available in store, and online will ensure a sale for you, no matter the channel. 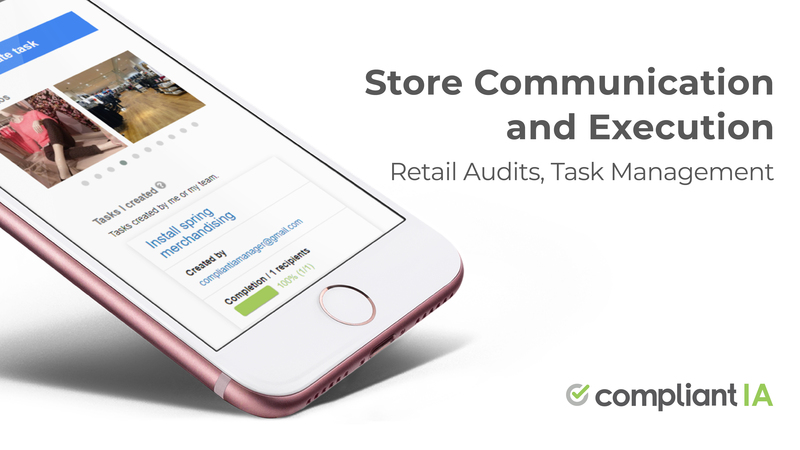 How are you drawing extra holiday traffic into your stores? Let us know in the comments!